When selling a home, looking for a new home or finding a location to build a custom home, having trustworthy professionals and experts in their field to help buyers and sellers during the process from beginning to end is of utmost importance. 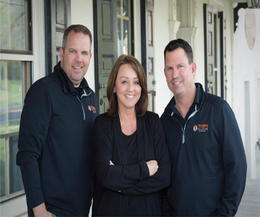 Brad Bauernshub, Chris Pinto and Terry Nardone, partners of Triumph Building Group are highlyrespected professionals with over 20 years of experience in the new home building industry. Each partner has a specialty within the industry thereby creating the perfect blend of competence which is passed along to their clients. The coordination of the various professionals involved with the overall process by Triumph Building Group allows for a more efficient experience, leaves less room for error, builds trust with their clients and creates a more positive experience and lasting relationship. “It’s very important because a home is one of, if not the largest purchase they will make in their lives,” Pinto adds. “The fact they are dealing with one company who will spearhead the project and provide the guidance and expertise that the typical homebuyer just doesn’t have is extremely important. Each step of the process is guided by us so there is less stress on the client as they work through the process. That process can include determining a location and finding the ideal lot in the neighborhood the client desires. Triumph Building Group also helps clients with setting a realistic budget to work with and to work through home designs which may include customizing a home based on their needs, goals and lifestyle. 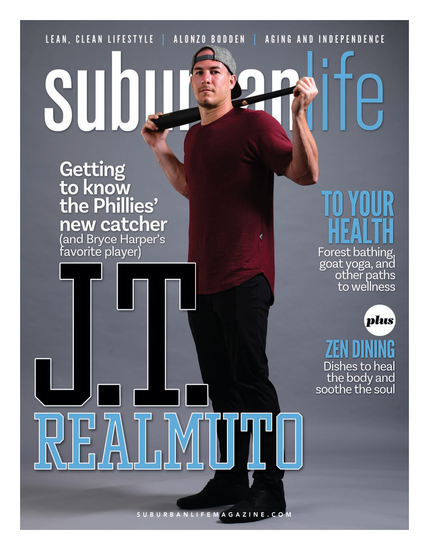 Triumph Building Group’s newest community is Towering Oaks at Yardley, an ideally located cul-de-sac of seven custom and semi-custom single family homes in the bucolic setting of Bucks County. Home sizes range from 3,500 square feet to just over 4,300 square feet on three-fourths of an acre up to 1.8 acres located in the highly sought after Pennsbury School District. Preconstruction pricing starts at $798,990. Towering Oaks is conveniently located and just minutes from major roadways making this community perfect for commuters. The Buckingham model home at Towering Oaks, now under construction, features a craftsman style exterior with a beautiful front porch, stone work and tremendous attention to detail. This home features a conservatory for grand living and entertaining along with a grand main staircase, an open floor plan, a gourmet kitchen and an abundance of interior appointments. They include hardwood floors, recessed lighting, an oversized, free-standing master bath soaking tub and a nine-foot finished basement including an area way with direct access to the rear yard. Nick Della Vecchia is one of those customers. Triumph Building Group has been working with Della Vecchia every step of the way on the construction of his family’s 8,500 square foot dream home since June 2016, from the initial consultation and design process, to breaking ground on the property in January 2017.